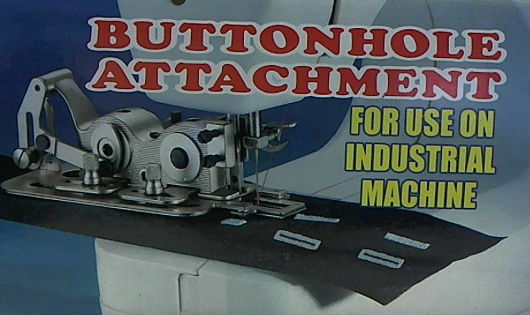 Adaptable for Single Needle Industrial Lockstitch Machines. Made in Taiwan. Create Button-Holes up to 1 inch. Instructions Included. Fits JUKI DDL-8700 Type Machines and Sinilar Model Types.